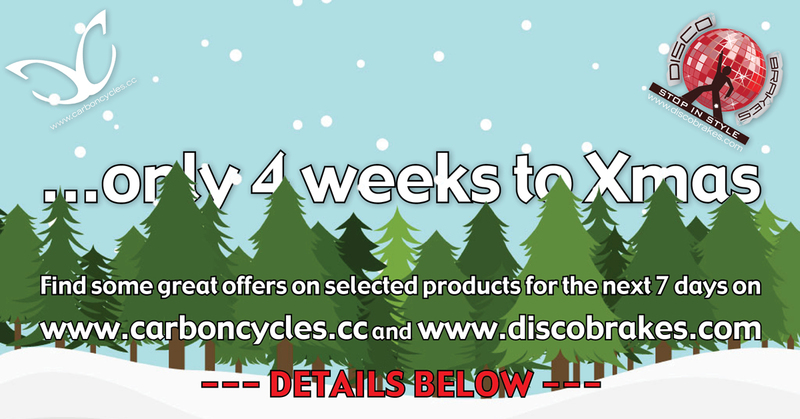 Welcome to our Discobrakes and Carboncycles Xmas offers. Posted: Sun Nov 29, 2015 1:27 pm Post subject: Welcome to our Discobrakes and Carboncycles Xmas offers. Over the new four weeks we will have 4 different offers each week starting with our ‘4 weeks to Xmas offer’ which will run from the 30th December. See T&C’s below. Simply use voucher code XMAS101 at checkout to receive our Xmas discounts.